Demonstrations have escalated into three police officers dead and 7 more injured. 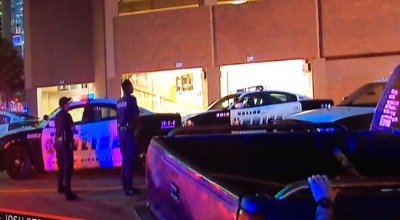 DALLAS, Texas– Police are responding to shots fired following the protest in Dallas. Tonight it appears that two snipers shot ten police officers from elevated positions during the protest/rally. Three officers are deceased, two are in surgery and three are in critical condition. An intensive search for suspects is currently underway. No suspects are in custody at this time. We ask that any citizen with information regarding the shootings tonight call 214-671-3482. We will provide more information once it is available. Please keep us in your thoughts and prayers tonight. Witnesses reported hearing more than a dozen gunshots that scattered the crowd,according to KDFW. “The shots were coming from the roof,” one protester told the station. That protester said that officers and bystanders alike were in the line of fire. Police officers were searching for a man with a rifle, according to several reports. It’s not yet clear the extent of the officers’ or any bystanders’ injuries. The protests began in Dallas, Thursday afternoon in response to the shootings of Alton Sterling in Baton Rouge, Louisiana, and Philando Castil, in Falcon Heights, Minnesota. Approximately 200 people gathered at Belo Gardens Park to begin a march through downtown Dallas. A sad night in Dallas. Thoughts and prayers go out to all involved.